G&R Electrical Surrey Ltd - Electrician based in Tongham, Surrey. 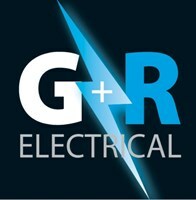 G&R Electrical Surrey Limited is a Guildford based partnership formed in 2014. Between us we have over 30 years experience in the electrical industry. As a company we are accredited to the NICEIC approved contractor and part P domestic installer schemes meaning we are fully qualified, insured and vetted to cover all types of electrical work from small domestic jobs to larger commercial and industrial projects. All our employes are qualified to the highest standard and are passionate about their work. We pride ourselves on being reliable, punctual, honest and tidy. We will always put the customers needs first showing you and your job the up most respect. Please dont hesitate to call for advice or a free quote.